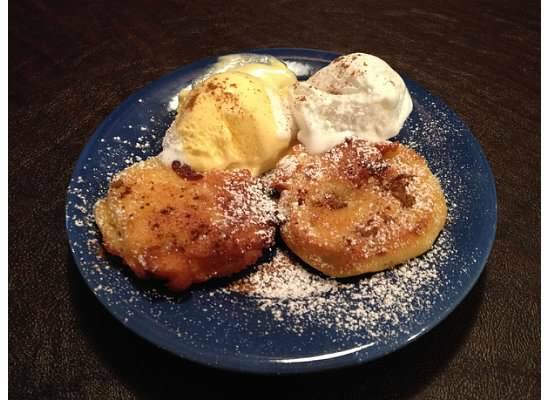 “Baked apple slices with cinnamon sugar,” though the apples are actually fried. 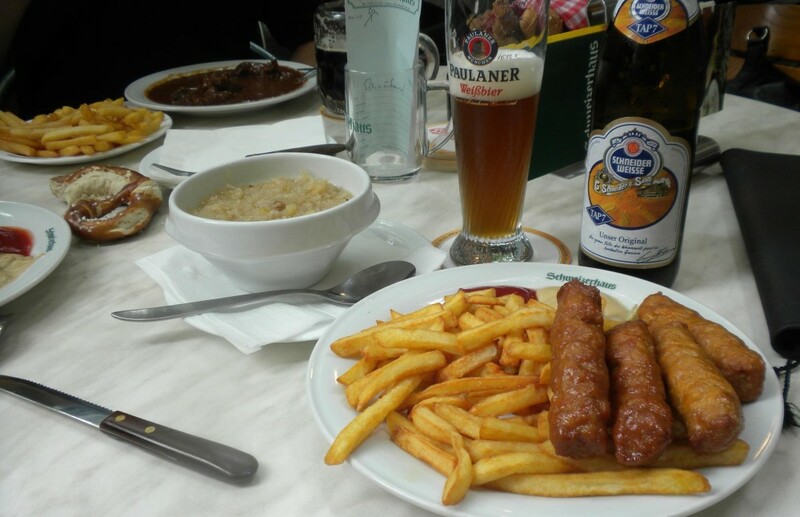 We had these on a cold and rainy fall afternoon in Garmisch and they warmed us up. Serve warm with either vanilla ice cream or warm custard. 1. Combine the kaiserscharrn mix with 1/4 L (about 1 C) cold water, stir in a bowl to form a smooth dough. 2. Peel, core, and slice the apples into rings. Dredge the slices in flour and dip into the kaiserscharrn dough. 3. Heat the oil in a pan and fry the apple rings until golden brown. Lift from pan, drain, and sprinkle with icing sugar and cinnamon. *Kaiserschmarrn translates to pancakes, though they are thicker and cakier than what Americans call pancakes. 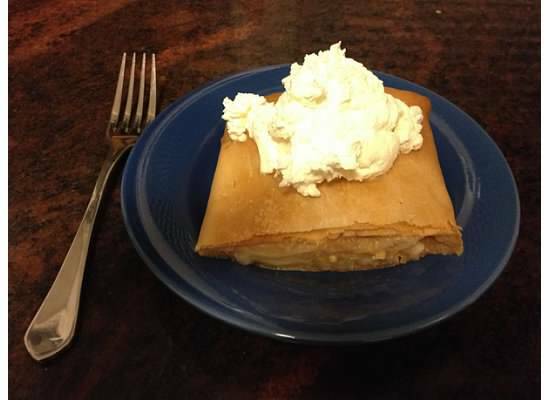 Here is a recipe for kaiserschmarrn: this recipe makes enough batter to fry a dozen apples.